This reparations scam is a cruel joke perpetrated on a community of people by suggesting free money might be coming. None of these Democrats can explain how this would be accomplished, who specifically will receive payment and how much. These race hustlers know they don’t have to bother with details on something they know will never happen. Just making the claim gets your book stamped by the NAACP. Nothing energizes the black electorate more than by teasing them about reparations for slavery. These race pimps know that many unsuspecting black people who don’t see this con job are caught up in the politics being played by them and believe they might get free money. However, after the presidential primary election cycle ends, the idea of reparations gets put away in the closet for another four years—just long enough for everyone to forget and then get hoodwinked at the next presidential primary. The first point I want to make about the reparations is that we are talking about torts made to people who have been harmed by someone’s action. It is how our civil law system tries to make people whole. They give them money. It’s all they can do to punish someone. Reparations would have to be paid out of the U.S. Treasury. That would require taxpayers living today to have to pay. Our system of jurisprudence in the United States has always been premised on identifying a specific person for having directly harmed another person in some way and punishing that person directly. That is very hard to do since past slave-owners are dead. A case could be made for and by former slaves. But, they are also dead. You don’t make up for wrongdoing by punishing people not directly involved in something nor their descendants 150 years later. Not all whites owned slaves. 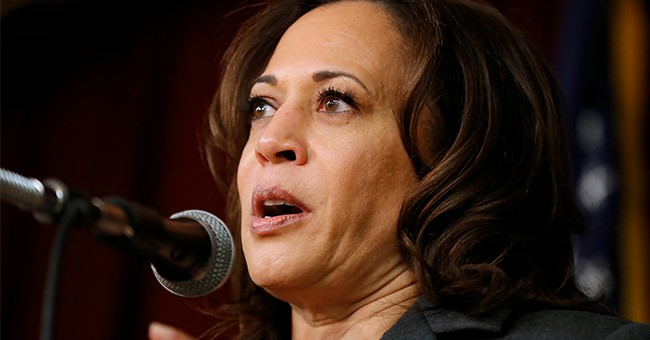 How are Democrat candidates Kamala Harris, whom we learned is a descendant of Jamaican slave owners herself, Cory Booker and Elizabeth Warren, whom each has called for reparations, going to determine which white folks had ancestors who owned slaves? Or should we punish all of them to make sure we got everybody? Even the white people of European descent who came here through Ellis Island long after slavery had ended. Are they guilty too? I am going to do what no white politician would dare do. I will make the case against what is really an act of extortion. The scary thing is that most politicians would likely go along with this nonsense if a bill ever reached a vote in Congress out of a sense of white guilt. They erroneously believe that all would be forgiven. It won’t. In 2009 the U.S. Congress passed a resolution apologizing for slavery of black people and Jim Crow laws. That didn’t matter to race hucksters who will claim in perpetuity that black people today still suffer the effects of slavery that ended over 150 years ago. White politicians, namely Republicans, should claim that reparations have already been paid to African-Americans for the last 150 years in the form of affirmative action, hiring quotas and diversity programs like college admissions that let less qualified black students into schools by denying more qualified white students. I’ll make the claim that those white students are entitled to reparations as are people denied promotion by their employer who promoted a black person instead of them in a diversity program based on skin color. You don’t make up for past wrongs by discriminating against a different class of people on the basis of their white skin. As the saying goes, two wrongs do not make something right. We should never forget the horrors of slavery. We should not, however, have let this become the cottage industry that it has become. Select blacks like Jesse Jackson have made themselves wealthy off of extorting white businesses. It gave him access to white Democrat politicians because he delivered them votes. Many blacks who were discriminated against didn’t get their beaks wet like Jackson. Trust that if reparations money were ever to be doled out, Jesse Jackson and Al Sharpton would probably be put in charge of doling it out and their friends would be the biggest benefactors. I am not going to tell individual blacks what to do here. I’ll say how I have approached things. The God I pray to daily sent his son Jesus Christ who continually talked about the act of forgiveness. As hard as it can be at times to forgive, forgiveness is in order. I did not say to forget. I made my peace with America for the past sin of slavery. It has been therapeutic. It has freed my mind of much debilitating emotional baggage. I suggest other blacks at least give it a try. It will be liberating. And at the very least, you will no longer be led around like a dog ceaselessly chasing its tail every four years by a group of race hucksters who know exactly what to say to get you to play along.